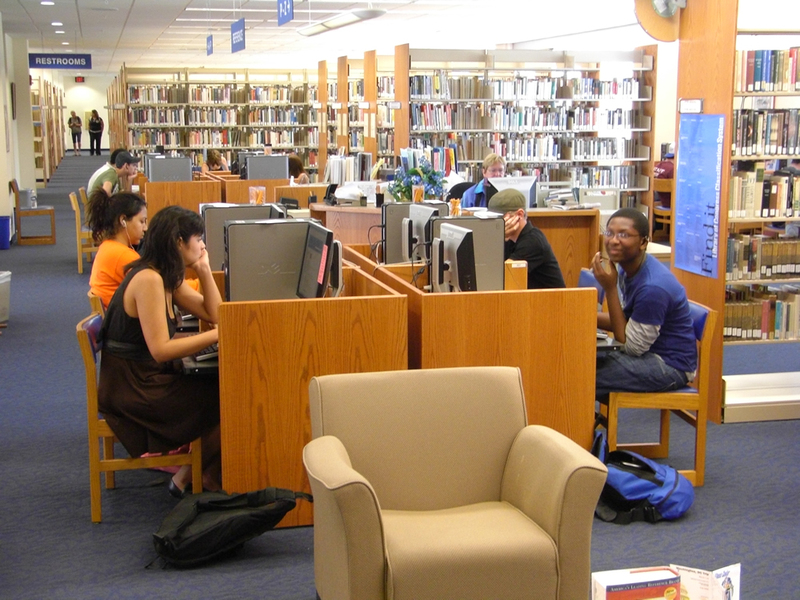 An overview of the library services available to students at Santa Fe College. Welcome to the Library! The Library and its staff are committed to supporting you with your research and resource needs throughout your time at Santa Fe College. 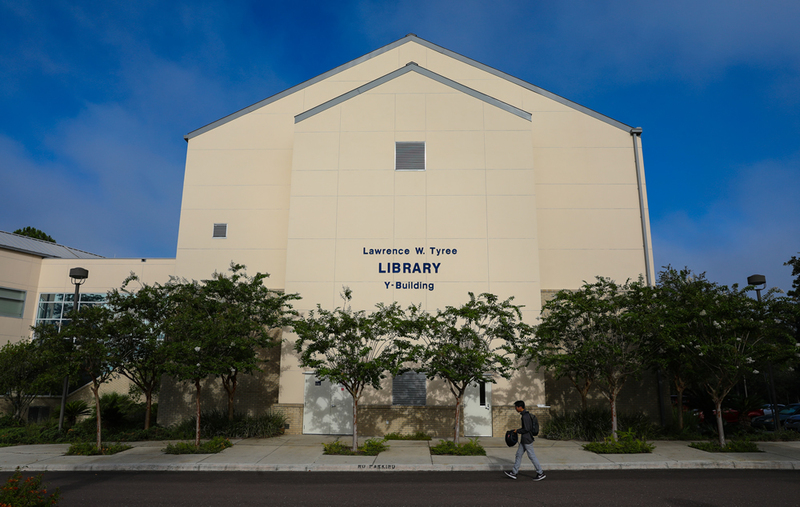 The Lawrence W. Tyree Library is located in building Y on the Northwest Campus. The Library is a three-story building that includes a wide range of resources, computers, study spaces, and supportive staff. Whether you need a quiet place to study, research for an assignment, a course reserve item, or a place to check email, the Library is the place to go on campus for all your information needs. Tyree Library: What's In It For Me? This handout will show you some quick resources and services available to all SF students. All currently enrolled SF students with a valid SF ID card or government-issued photo ID may check out books from the Library. Library books and media check out for 2 weeks and students may have up to 10 items checked out at one time. Books and media may be renewed throughout the semester by calling the Library at 352-395-5412 or online via the library catalog. To log in to all library resources (including databases and eBooks), your Borrower ID is your 8-digit SF ID number with no hyphen. Your PIN is usually the last 4 digits of that same number. If you are unable to log in, please contact the Reference Desk at 352-395-5409. The Library provides physical space in room Y-130 for weekend proctoring, but all proctoring arrangements are made through the Testing Center. To make arrangements for proctoring or ask a question, please contact the Testing Center. Currently enrolled Santa Fe College students may use select services at the University of Florida. Students are entitled to set up a reciprocal borrowing account and check out 5 items from the UF Libraries. To set up the account, fill out the UF Reciprocal Borrower Request Form at least 1 business day prior to your visit. You will need your SF ID card to check out items. SF students are able to use the University of Florida study spaces. You may visit the 24-hour Newell Hall study center at any time. You must have your SF ID for entrance. SF students may also use the UF Libraries whenever they are open. An SF ID card may be required for entrance during evening and nighttime hours.